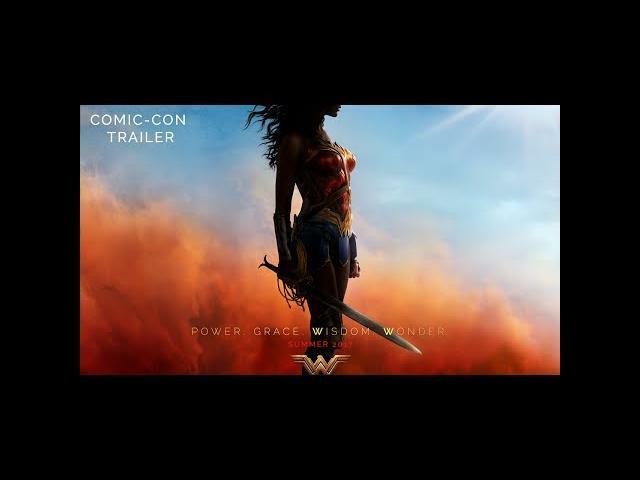 DC Comics and director Patty Jenkins" Wonder Woman (2017) revealed their trailer at the San Diego Comic-Con (2016) during the Warner Bros. panel in Hall H. This trailer starts with Wonder Woman (Gal Gadot) finding Steve Trevor (Chris Pine) on their beach. We then fast forward to seeing a few action scenes that look like they were done on par with Captain America: Civil War (2016). We are finally treated with the Wonder Woman logo before giving way to a funny clip with Wonder Woman learning what a secretary is. I was a little worried about this film originally but after watching this trailer, I honestly cannot wait to see more. 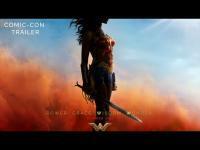 Wonder Woman releases in movie theaters on June 2, 2017. Gal Gadot, Chris Pine, and Robin Wright star in Wonder Woman.